For all the friends out there who want to get high with this amazing Purple Drank, today I will reveal the history of this crazy drink. So without wasting any time, let’s start it. Before having this crazy fun drink, you probably want you to know what this authentic drink really is and where it came from. The sizzurp was first introduced by the blues musicians in Houston in the year 1960. The first version of it was a drink that mixed along with beer and Robitussin. As times goes the classic formula has modified in many ways. But the most anticipated drink was getting its wings in the year 90s. They got a wonderful formula to disclose it to all over the world. Thanks to its creator. The whole idea was pretty simple but pretty effective. 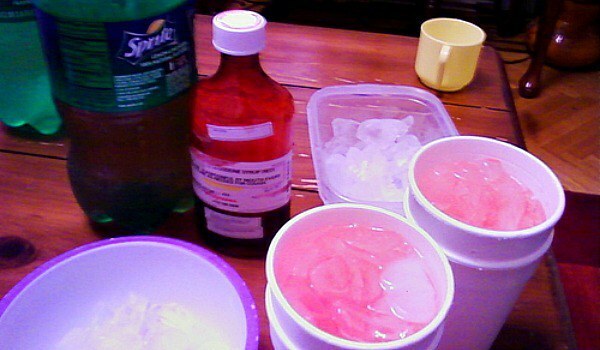 Use the cough syrup that has codeine and promethazine and adds some other ingredients to give the drink amazing flavor and a great taste. Basically, the Purple Drank is a combination of cough syrup, soda, and sweet candy. Originally they used Sprite as a soft drink and Jolly Rancher as a sweetening component. Surprisingly Jolly Rancher has a color of pink, so whenever it mixed with the drinks, it becomes purple. That’s how the name Purple Drank came from. Soon these wonder drinks start gaining its huge popularity in the Hip Hop community. In the mid-90s it has gained its sky-high popularity among the teenagers. The rap singers have boasted the drink amazingly and always play a vital part in promoting this drink. We all want to follow our idol and its obvious most of the kids accepted the Hip Hop musician as their idol. So as their idol singers are having this drink and promoting in their songs, they have got easily attracted to this Purple drank. This fun cocktail always has presented in the media as one of the best glamorous drinks on earth. You will find hundreds of Purple Drank fun pages, online video recipe, and many other activities on the internet just to promote this lucrative drink. There are many star singers are also promoting this wonder drink every day. So what are you waiting for……….?? Go have a sip.